To set up Ventrilo, open the program and hit the Setup button. The screen below will open. 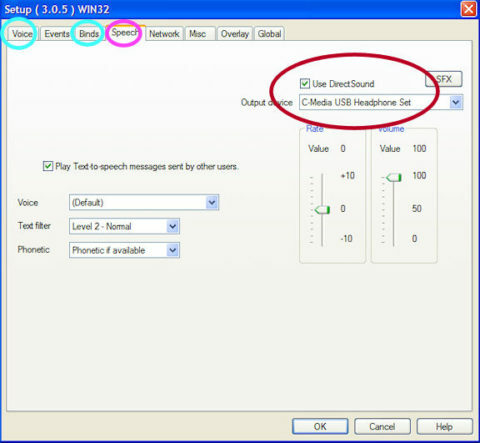 In the lower right, you want to make sure the Codec is set to ‘Speex‘ and Format set to 32 KHz 16 bit 10 Qlty. 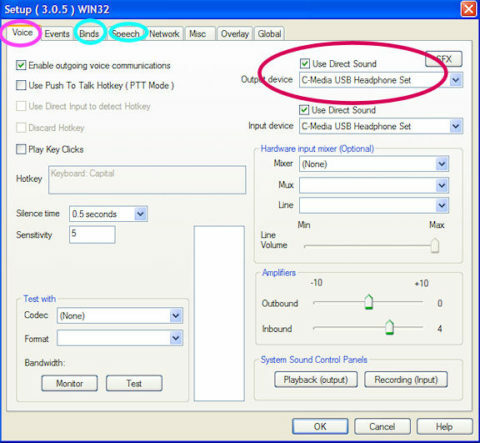 In addition, you want to be sure that Use Direct Sound is checked for both Output and Input device AND that your headset or speakers are selected for both Output and Input device. 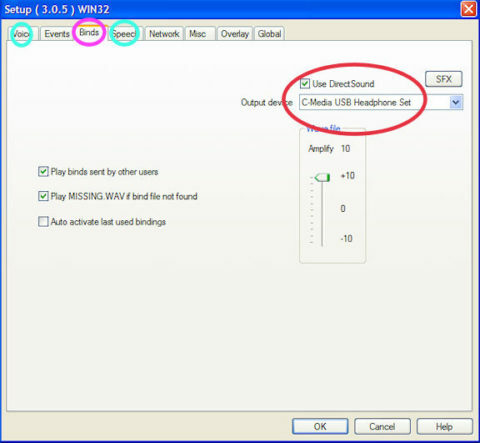 Next, go to the Binds tab and do the same thing for Output device. And then go to the Speech tab and do the same thing for Output device. Click OK when you’re done and it will take you back to the main Ventrilo screen.